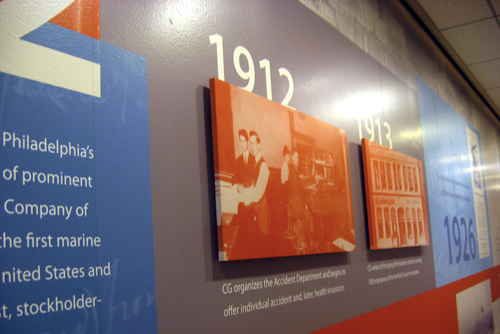 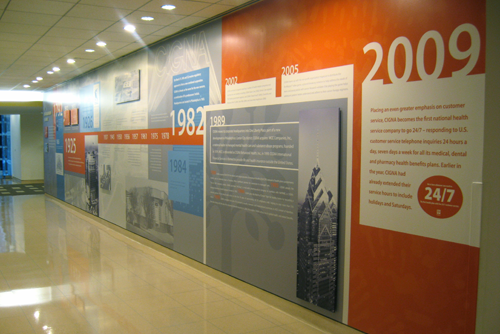 A custom design featuring a timeline of CIGNA’s history along a forty-six foot wall in CIGNA's Philadelphia Headquarters. 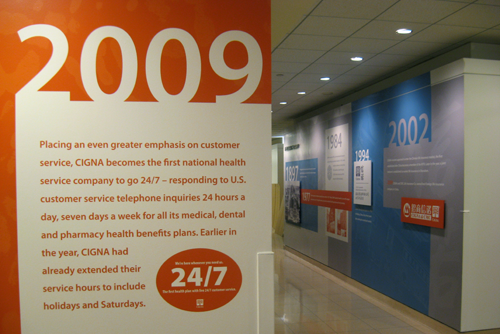 An additional wall around the corner highlights CIGNA’s international achievements. 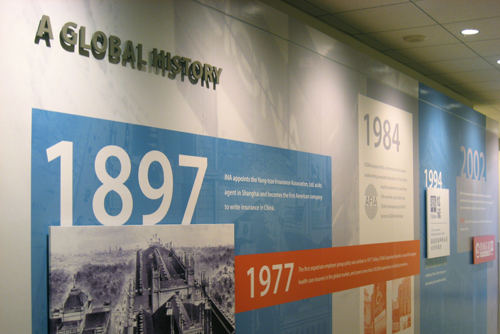 Significant dates are called out in larger type, as well as several image panels giving the wall a sense of depth. 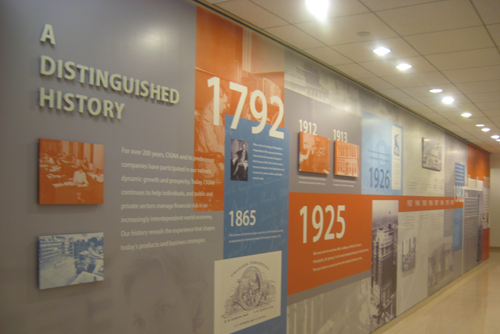 The colors chosen for the wall correlate to the site’s color palate.